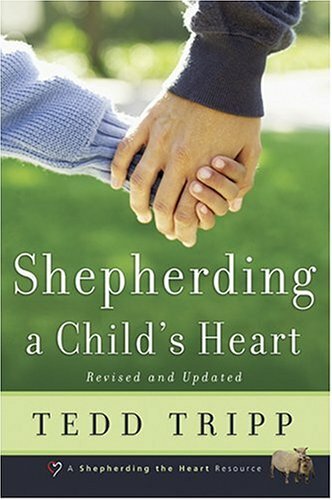 I regularly recommend Tedd Tripp's book, Shepherding a Child's Heart. Now, I find myself re-reading it for myself. The reason might surprise you. It's because my kids are growing and getting older. I see the wisdom in Tripp's understanding of these stages, because I see it confirmed in my kids. I can tell that my kids are moving to the next stage because of the questions they are asking. Their questions focus less on themselves and more on how they interact with the world around them. The questions are less concrete and more abstract. They are trying to figure out how live out concepts like being more loving, more caring, and more selfless. They understand the value of Luke 6:31, "And as you wish that others would do to you, do so to them," but are struggling in how to apply it. When they see their friends doing something wrong, they are struggling with how to respond positively and not just follow along. Basically they are struggling with the intersection of faith and life in a sinful world. If I continue to parent them in the way I have in the past, I'm concerned that I'll push them away from the mature faith I desire for them. If I continue to parent my tweens as children then their faith will probably remain childish. So, my parenting needs to mature as they mature. I can no longer get away with the easy answers to their easy questions. My faith and doctrine must grow with their questions. The questions have changed, so must the answers. This change is good ... for all of us. It forces us to mature and grow. I wish I had some tips on how to how to handle more complex questions, but I'm still figuring it out as I go. There may be another blog post on this some time in the future. I'm still trying struggling with my own maturing faith as I seek to lead to my family. How do you handle your own kids' complex questions?